AUSTRALIA'S only independent prison watchdog has heavily criticised the oversight of Victorian jails, saying the existing system of monitoring abuses and corruption is "well short of what a democratic society is entitled to". 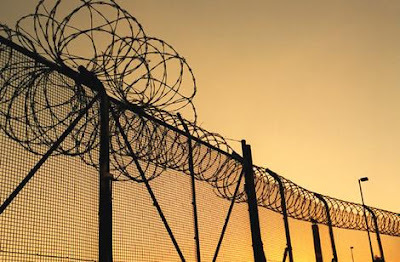 The criticism of the lack of transparency in Victoria's prisons by the Western Australian Inspector of Custodial Services, Professor Richard Harding, comes after The Age revealed secret documents detailing improper behaviour by staff at the state's largest female jail. Professor Harding said the Victorian Government's failure to release its multiple inquiries into assaults, deaths, drug use and staff impropriety in the state's jails could be fuelling problems inside prisons. Professor Harding told The Age: "This is important stuff. Would it have stopped it more quickly if the reports had been made public? My guess is it would. In WA, I have had similar issues and I feel confident the release of my reports covering these issues have lanced the boil of this kind of stuff." Professor Harding testified at a Victorian court hearing earlier this month after he was called as a witness by the Western Suburbs Legal Service. The service is fighting for the release of a secret review of the placement of prisoners by Corrections Victoria into solitary confinement. Documents obtained under freedom of information laws show Victoria's prison watchdog, the Office of Correctional Services Review, has completed more than 100 investigations into prison incidents since 2000. None have been released. Professor Harding said the Victorian watchdog was compromised because it was part of the Justice Department, which also manages prisons. "People can't but help be aware of the problems they may create within the department with their reports, whereas an autonomous external inspectorate (has) a fearless approach to controversy," he said. "It is well short of what a democratic society is entitled to and we come back again to the human rights issues. In the end, these can only be properly traversed by external accountability. "If you have an external inspectorate, all of these things — justice and fairness and decency to the individual — and the way the prisons are spending their money become visible to the public." But a spokesman for Corrections Minister Bob Cameron said the state's jails were subject to rigorous oversight. The spokesman said the Ombudsman's office had the power to demand investigation reports from the Justice Department and conduct its own inquiries, which could be tabled in Parliament. The Age yesterday revealed that prison guards at the Dame Phyllis Frost Centre, which houses up to 260 female prisoners, were told by experienced officers to break rules, conducted improper strip searches and falsified records. The breaches are revealed in prison documents detailing concerns raised in October 2006 by new prison officers. The documents, from 2003 and 2004, outlined claims that "prison officers at the Dame Phyllis Frost Centre were sexually assaulting female prisoners and standing over prisoners to obtain sexual favours".